The Ar 232 design resulted from a tender offered by the Reichsluftfahrtministerium in late 1939 for a replacement for the Ju 52/3m transport. Both Arado and Henschel were asked for rear-loading designs powered by two 1,193 kW (1,600 hp) BMW 801A/B radial engines, which was just entering prototype production and not currently used on any front-line designs. The Arado design beat out Henschel's after an examination of the plans, and an order for three prototypes was placed in 1940. In early 1940 work began on the design of a transport aircraft to assist and ultimately replace the venerable and ubiquitous Junkers Ju 52/3m, of which more than 500 had been in service on 1 September 1939, when the German invasion of Poland precipitated World War II. 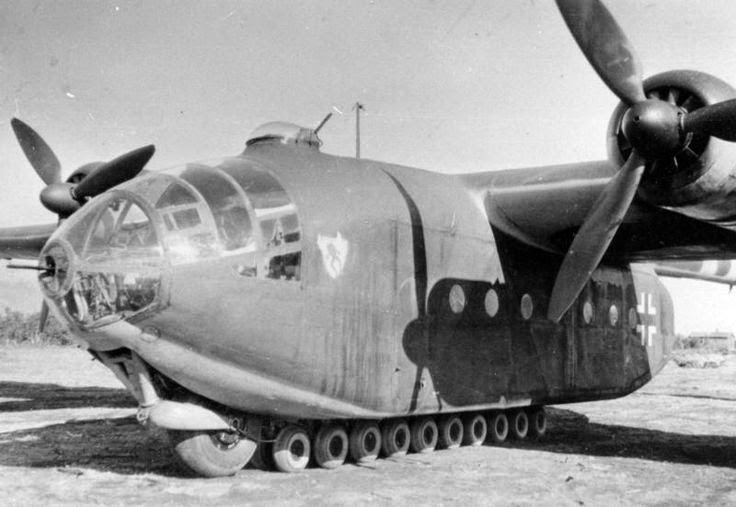 A twin-engine design, the Arado Ar 232 featured a pod and boom fuselage with an hydraulically-operated rear loading door and a novel arrangement of 11 pairs of small wheels used to support the fuselage during loading and unloading operations, the tricycle main landing gear having been partially raised by means of two hydraulic rams. The first two prototypes, flown in 1941, were powered by two 1,600-hp (1193-kW) BMW 801MA radial engines, but the insatiable demands of the Focke-Wulf Fw 190 production lines necessitated a change of engine for subsequent aircraft. 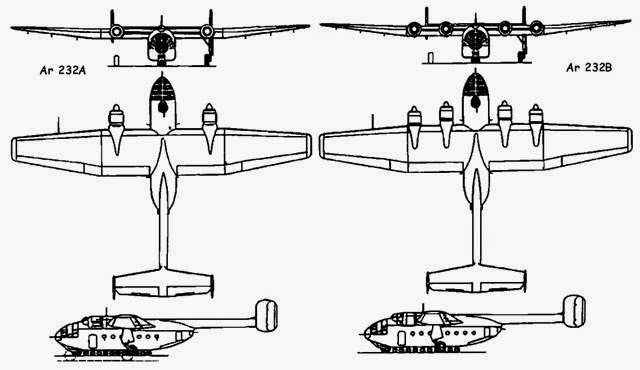 The selection of the lower-powered BMW-Bramo 323R-2 meant that four engines were needed and the third aircraft introduced a 5 ft 7 in (1.70 m) increase in wing centre section span to accommodate them. This was the first of 20 Ar 232B aircraft, some of which saw service with Luftwaffe units, initially on the Eastern Front and, later in the war, with the 'special missions' Kampfgeschwader 200. A surviving aircraft from 3./KG 200 was flown from Flensburg to the Royal Aircraft Establishment at Farnborough after the capitulation. 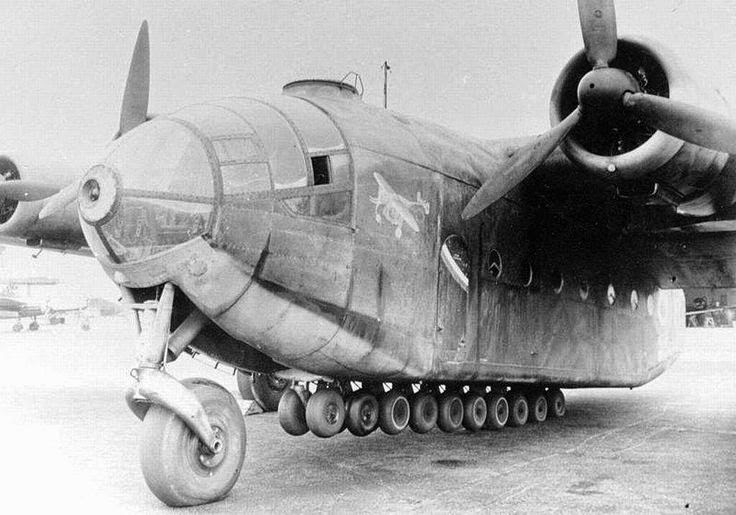 Others were used during hostilities for experimental purposes, including one with a boundary-layer control system, one with four Gnome-Rhone 14M radial engines, and another with fixed landing gear and skis, for operations in Norway.